A shell (or hardshell) jacket is your first layer of protection against wind, rain, and snow. 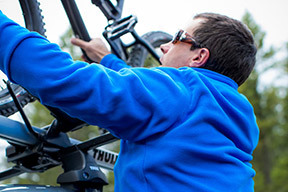 Shell jackets forgo insulation in favor of versatility, simplicity, and weight savings. Single, double, or triple-layer synthetic material makes the shell jacket durable, quick-drying, packable, and, often, highly breathable. Waterproof membranes such as Gore-Tex, HyVent, or eVent, water-repellent coatings (DWR), and windproof technologies such as Windstopper, protect you from the elements without adding significant weight. The most basic shells include only a few comfort and technical features, such as waterproof front closures, vents, adjustable hoods, and hand or chest pockets. This inherent simplicity creates a reliable and versatile layering piece for all four seasons. Many ski and snowboard shells, however, include additional features such as waist and wrist gaiters, goggle pockets, or headphone ports that make them perfect for riding, but less comfortable for other activities. During the warmer months, a shell can be worn directly over your baselayer for hiking, biking, or running in foul weather, and during the colder months it’s easily layered over your midlayer for skiing or snowboarding. A softshell jacket is perhaps the most versatile of the five types of jackets. This jacket is defined by its soft, flexible body material, typically made of stretch-woven polyester or nylon and elastane, and it can be worn as a midlayer in severe weather or as an outer layer in moderate weather. Although a fleece or insulated jacket typically provides more warmth, and a shell jacket offers more protection from wind and wet weather, the softshell provides a balance of both benefits, and its high level of breathability is excellent for aerobic activity. 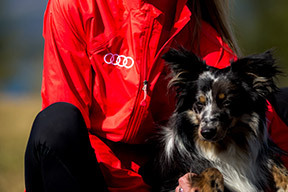 While the most basic softshell jacket includes standard features like front hand pockets, a front-zip closure, and fit adjustments, a technical softshell often adds features like ultralight materials, stretch ventilation panels, a highly water-resistant external coating, or a windproof or wind-resistant lining. Like shell jackets, softshells can be worn year-round, though often in a different place in your layering system. Named for its polyester material that mimics pile wool, the fleece jacket feels soft, lightweight, and warm. A fleece is an excellent outer layer for cool-to-cold temperatures in dry conditions, and can be worn beneath a shell jacket in place of a softshell or insulated jacket in cold, wet conditions. Synthetic fleece material, such as Polartec, maintains its warmth even when wet, so it’s particularly useful for almost any season and nearly any activity. Fleeces come in a variety of weights, with the heaviest-weight fleeces offering the most warmth. 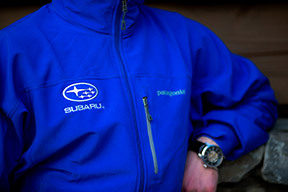 Pile-style material makes even the lightest-weight fleece jackets more durable than many synthetic- or down-insulated jackets, which is why many mountaineers and climbers favor them as layering pieces.Technical fleece jackets sometimes feature windproof or water-repellent technology for additional protection against the elements. Synthetic fleece was originally created to serve as a cost-effective, light, quick-drying, and easy-to-maintain alternative to traditional pile wool or cotton-fleece material. However, due its natural breathability, odor resistance, softness, and warmth, merino wool has begun to steer a portion of this category of jackets back toward natural materials. Insulated jackets’ main purpose is warmth. There are two types of insulated jackets: a waterproof, insulated ski jacket or parka, and an insulated jacket that serves as a layering piece. An insulated ski or snowboard jacket offers the weather protection and durability of a shell jacket and the warmth of an insulator, and is worn as your outermost layer. A down-insulated puffy jacket or synthetic insulator such as Primaloft, Coreloft, or Thermic Micro makes a versatile layering piece. 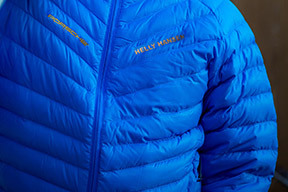 It’s lightweight, easy to pack in a backpack or duffel, and capable of producing massive warmth quickly. 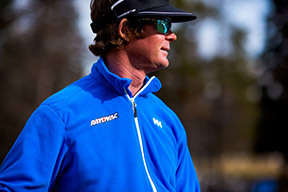 Unlike an insulated ski jacket or shell jacket, the puffy jacket usually features only single-layer polyester or nylon face fabric and offers little protection from wind or wet weather, so it’s best worn as a midlayer, in place of a fleece or softshell jacket, or as an outer layer in cold, dry conditions. Often an essential piece of kit for cold-weather sports like skiing, snowboarding, ice climbing, and winter mountaineering, an insulated jacket offers the best possible weight-to-warmth ratio of any of the five styles of jackets. Breathability is the ability of a fabric to allow moisture vapor to be transmitted through the material. Driving Force is the difference in the level of heat and humidity on one side of the material compared to the other side. Also known as the Differential Pressure. By 2nd law of thermodynamics moisture will move towards dry. Therefore, warm, moist air will flow towards cold, dry air until there is an equilibrium. Due to body heat and moisture there is almost always higher heat and humidity inside a clothing system. This creates a differential pressure forcing the heat and humidity toward the outside. The greater the difference between the heat and humidity inside the clothing system and the outside, the greater the Differential Pressure to push that heat and humidity out.